I just realized that, since so much time, my autorotation has stopped working as intended: when turning my phone in dynamic mode, all the apps will change orientation to lanscape or back to portrait accordingly, but the GUI (home & notification screen) won't. Just upper notifications will work correctly. The same happens when changing mode to landscape: all the apps behave well, the gui is stuck to portrait, still. How to solve? @pawel The home screen on the Jolla tablet rotates. Just for the record. One way this can happen is if you have changed the setting in the past (see answer below) and OS update reset it. 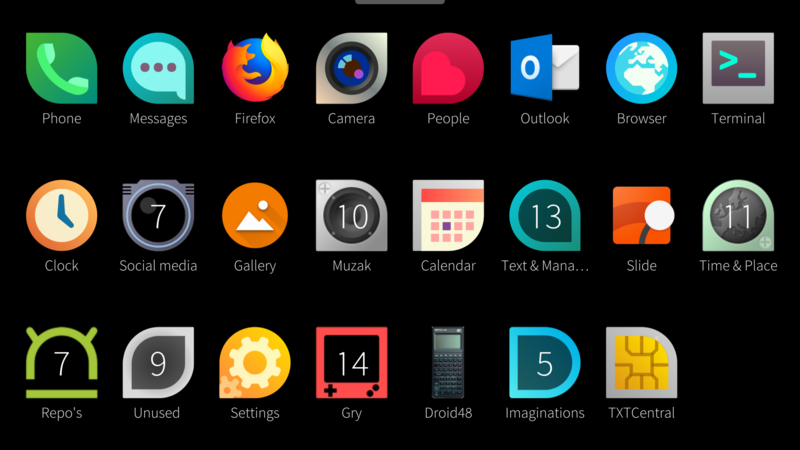 The homescreen on the Jolla phones and even port devices does not rotate by default, same with the lockscreen. EDIT: Tablets rotate by default, phones do not. EDIT EDIT: Forgot to give credit to coderus for this awesome patch. Thumbs up to coderus, you made my old Droid 4 usable. EDIT^3: Full support for landscape UI is announced for Sailfish 3. Install the Openrepos.net client app Storeman (or alternatively Warehouse, if you are still on SailfishOS < 2.1.4) and use it to install Patchmanager 2.0 by coderus, plus one of the two Patches Allow any orientation except inverted portrait for SailfishOS apps or Allow any orientation for all SailfishOS applications. Then apply the chosen Patch in Patchmanager and restart the SailfishOS UI (or reboot). Personally I don't like having a patch that is potentially incompatible with updates and for this setting only changes one row in a qml file (see answer above). I prefer to do the change myself. @Jonah, incompatibility is minimized in the current patch manager as it works a bit differently than previous versions. The patch is not really "applied" to a file in the fs, instead the system patches the file "on the fly" when it is loaded to memory. In /usr/lib/qt5/qml/Sailfish/Silica/Page.qml, change "return allowed" to "return Orientation.Portrait | Orientation.Landscape | Orientation.LandscapeInverted". unnecessary, unless the op wants that, but as pawel has mentioned above, the homescreen/app switcher screen never did rotate, it's always been portrait. Last OS update (2.2.0) overwrote the changed file, so you need to change the setting again if this happens.